I wrestled with this post for 2 whole months, Specsavers had generously fixed me up with a new pair of glasses for it which was originally pitched as a mum makeover type piece. To give you context, I am due back to work next month as my maternity leave comes to an end, and boy is this a time of such mixed emotions. Settling Arthur into his new long term routine aside, the emotional impact it can have on a mum can be huge. Do I even know who I am anymore? Can I get us ready in time in the morning? Am I capable of interacting with adults or will I sing twinkle twinkle at them? What do I put in a bag if not Sophie the giraffe and 6 types of rice cakes? As most people reading will know, this last year has been a time of change for me. Having a baby is no walk in the park and it has taught me a huge amount about myself whilst I experienced the various challenges it presents pretty much daily (sometimes hourly!) I was so lucky that in among all the madness I met Vicky from The Wee Retreat and through attending classes with her, she has helped me navigate a lot of these challenges and I definitely feel the positive changes in so many areas of my life. If you missed my review of my first mindfulness course with The Wee Retreat then you can catch it here. I was delighted to be invited back to meet a new group of people and do The Mindful Parenting Course, and it has been such a refreshing and valuable experience. 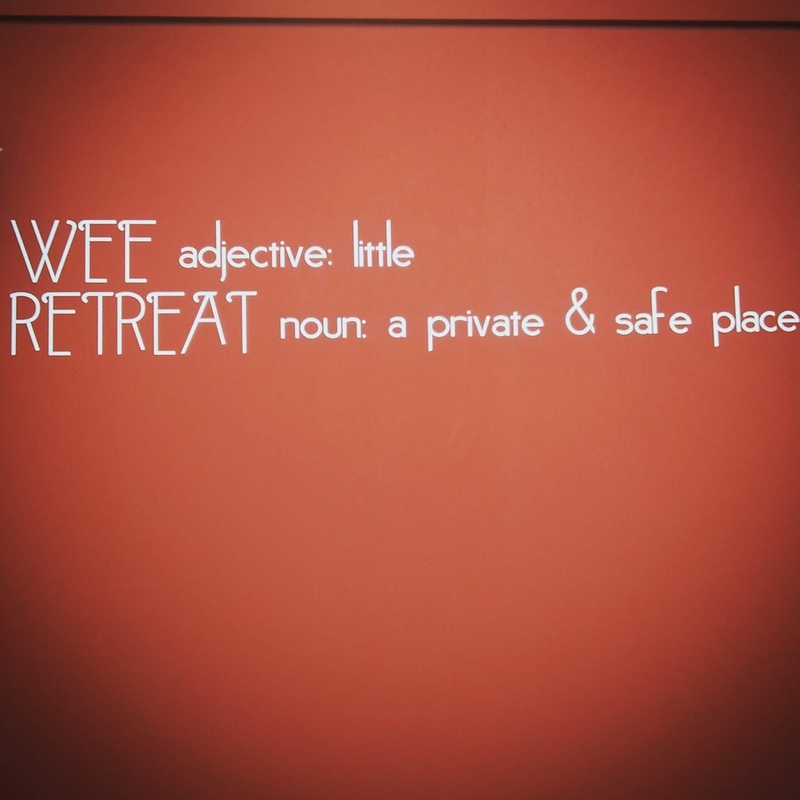 As I said in my last post, The Wee Retreat has settled in to beautiful new premises in the southside of Glasgow and Vicky is now able to offer a truly phenomenal range of classes, courses and experiences from this bright and airy space that feels like the perfect space to try something new. 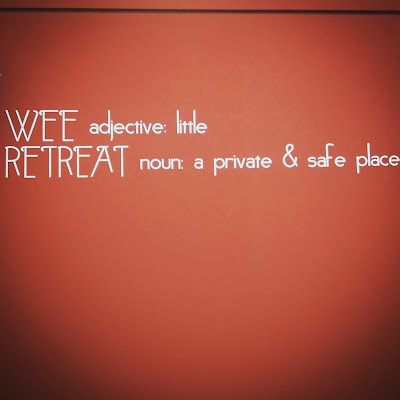 The Wee Retreat has its own shiny new home, and what a home it is!! Nestled in the Southside of Glasgow is a pretty special spot of calm on Myrtle Park and not only are the mindfulness courses running from here but Vicky has put together an outstanding mix of collaborators who are putting on a really special mix of classes. I feel very lucky to live nearby! Now home to drop in guided meditations to a variety of yoga classes ( including yoga for little ones and prenatal yoga) to different mindfulness courses from health to parenting, The Wee Retreat is growing all the time. You can see the line up of classes HERE and a full timetable is available on their facebook page alongside prices. I am delighted to say I will be bringing you my experiences from the Mindfulness Parenting Course that I am starting next week. I will keep weekly updates on my Instagram page to give you a flavour of what the course covers, but it is safe to say I am incredibly excited to settle into this new space. With Vicky's background in education mixed with her approach to teaching mindfulness, I have no doubt what a useful and insightful course this is going to be, and just in-time as Arthur is growing so fast I can barely keep up and having a calm approach is definitely needed. I shall report back soon with a full review! There are just a couple of spots left on this 5 week course starting Friday the 18th of January from 1pm until 2.30, so if you would like more info you can contact Vicky HERE. 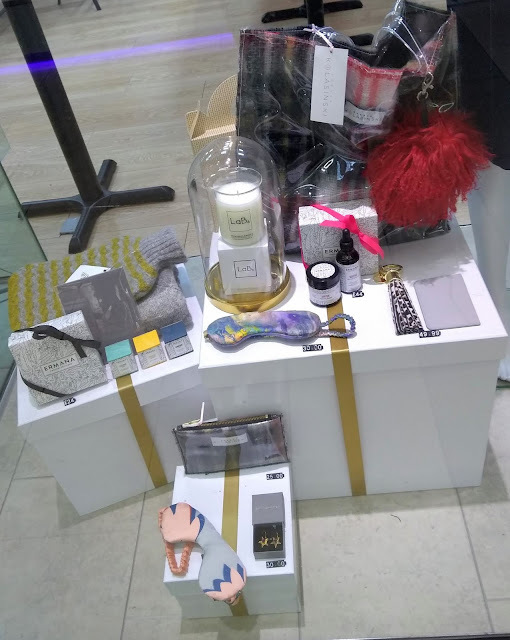 At the St Enoch Centre Christmas press event, nestled among the beautiful pieces from Debenhams, Mothercare, Billies Market etc,I was surprised to also find picks from Darte jewellery, sumptuous hoods from Chou Chou Couture and bold Barbra Kolasinki purses. 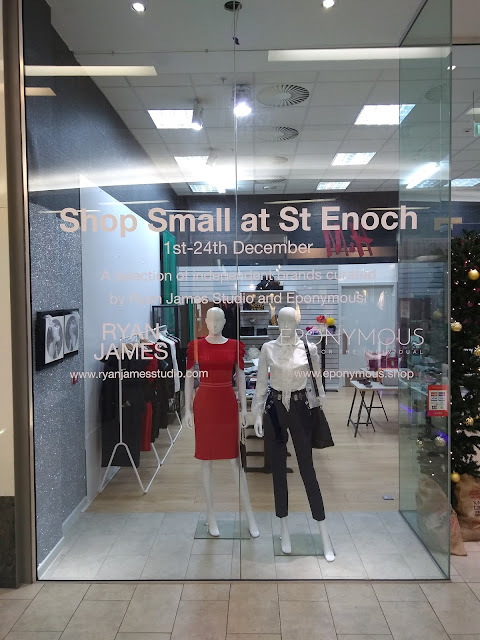 Turns out they are all part of the amazing Ryan James Studio and Eponoymous pop up shop in the St Enoch Centre that is open until Christmas Eve. 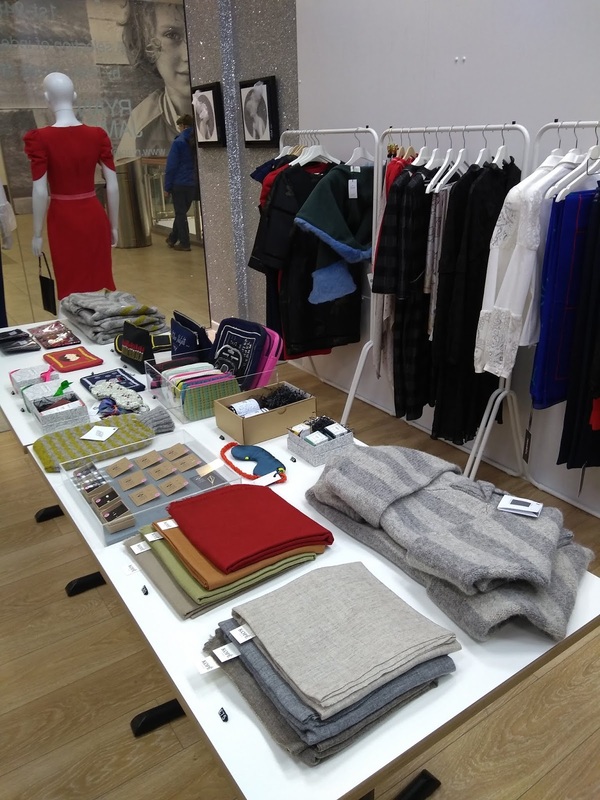 This beautifully curated pop up shop is located right across from H and M on the first floor and it's a chance to buy some independent gifts while you are in doing your shopping. I was super impressed with the range on offer, from beautiful LaB6 Candles ( which smell PHENOMENAL) to ceramics, high end mens and womenswear via wooden watches from Kochiba and beard oil from the Bedfordshire Beard Co and the most incredible Sarah Haran handbags, I love that it means people will discover brands they didn't know about while picking up gifts for loved ones. 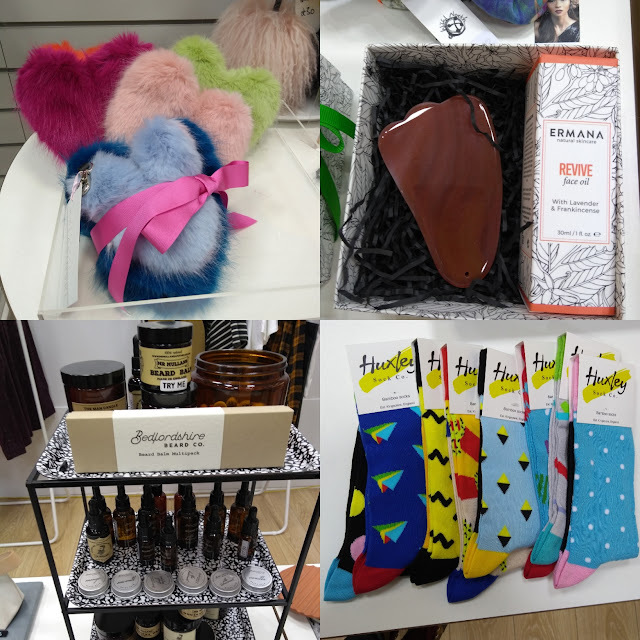 I was instantly drawn to a cabinet full of Euan Mchwhirter's shiny gems and I was really taken with the gift sets from Ermana who I had never come across before, I also couldn't resist picking up a couple of pairs of these amazing Huxley socks!! 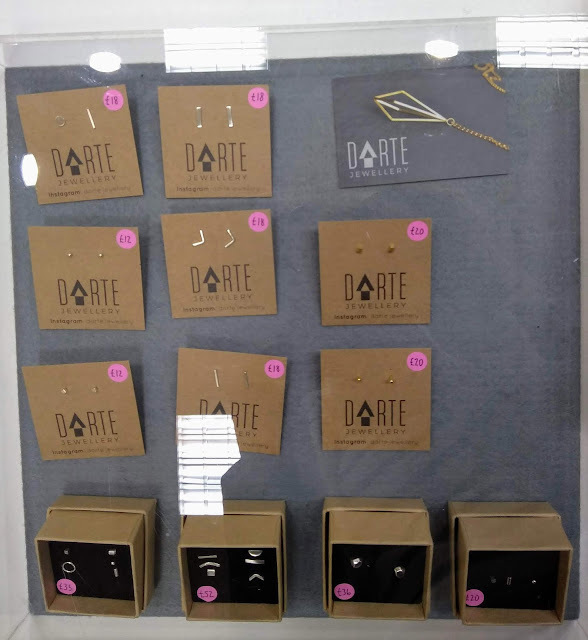 There was such a perfect blend of items at a mixture of price points that it really feels like a one stop shop and all supporting independent makers that deserve that platform for their work. I think it's amazing The St Enoch Centre have these brilliant designers under their roof in this 'Shop Small 'collection, I highly recommend checking it out while you are in. Plus is it right along from the Kimbles cafe.... so it is pretty much the perfect way to shop and snack. This post has taken me longer to write than I expected and for a good reason..... The course was actually so impressive I actually haven't quite found the time to try and put it into adequate words. I think I was allowing myself to be overwhelmed by the sheer wealth of information and insights I had picked up over the weeks that I was attempting to try and succinctly summarise the whole process into one post. However when I stopped for a moment and actually put some of my learning into practice,I realised that was not what I was needing to do and I that I was being hard on myself which was stopping me from completing what I wanted to do- How is that for demonstrating what The Wee Retreat has taught me?? 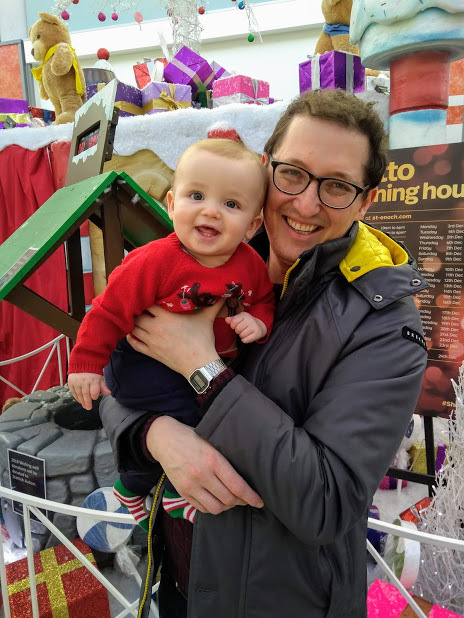 I feel like Christmas has snuck up on me, last thing I knew I had a newborn and the whole year stretching out in front me yet suddenly it is Christmas and I am fully unprepared. Gifts for anyone else aside I had a panic last month when I realised Arthur is actually big enough to at least take in his surroundings and actually enjoy all the colour and fun that Christmas brings with it, so I was over the moon when the St Enoch Centre got in touch to invite us down to make it a wonderful first Christmas for him.